Renaissance Indian Wells Resort and Spa has introduced a rare two-night package for May 1 and 2, 2015, featuring deluxe accommodations and admittance for two to the much-anticipated Desert Lexus JazzFest scheduled for Saturday, May 2 at Indian Wells Tennis Garden. The one-of-a-kind entertainment package will be highlighted not only by Saturday evening’s JazzFest, a premier annual concert for the Coachella Valley, but also by complimentary Friday evening beverages and live entertainment at the resort, which is located just five minutes from the Tennis Garden. At the May 2 JazzFest, Grammy-award-winning vocalist Lisa Fischer and Grand Baton will start the music on the main stage at 7:00 p.m., followed by the iconic band Tower of Power. The event will be presented under the Indian Wells Tennis Garden’s shade pavilion, offering seating for 2,000 patrons, along with numerous food and beverage offerings and artists displaying paintings and sculptures. 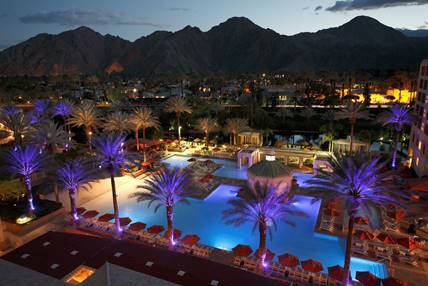 The gates open at 5:30 p.m.
Reservations for this exclusive package may be reserved at http:// http://www.marriott.com/PSPSR or http://www.marriott.com/hotels/hotel-deals/pspsr-renaissance-indian-wells-resort-and-spa or by calling 800-228-9290 and using promotional code M16. The package is based on double occupancy and is subject to availability. For further details about the resort, visit http:// http://www.marriott.com/PSPSR. About Renaissance Indian Wells Resort and Spa. Renaissance Indian Wells Resort and Spa, a member of the Marriott group, invites guests to “Live Life to Discover” within a distinctive desert setting. With picturesque views, including breathtaking mountain vistas, the resort provides the perfect backdrop for leisure and group getaways. Award-winning dining and entertainment options, luxurious spa, salon and fitness facilities, a unique pool experience complete with sandy beach and waterfalls and world-class golf amenities await. Renaissance Indian Wells Resort and Spa is located at 44-400 Indian Wells Lane, Indian Wells, CA 92210-8708. Telephone: (760) 773-4444.